I found 12x12 sheets of paper that look like antique parchment. I cut them in half so I have 2 6x12 pieces from each sheet. 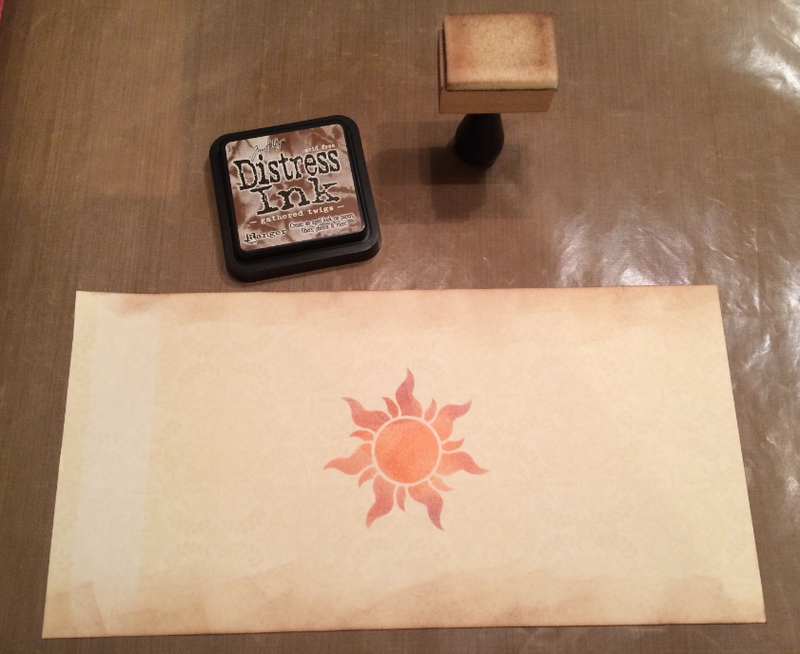 I found an SVG file of the sun image from Tangled and cut it out of heavy white cardstock. 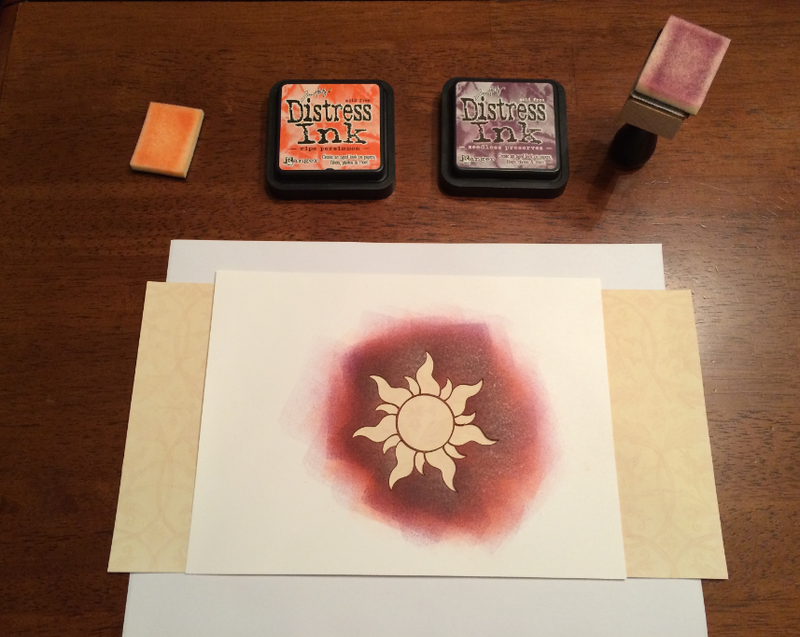 I used it as a stencil over the "parchment" and sponged on orange and purple Distress Ink. 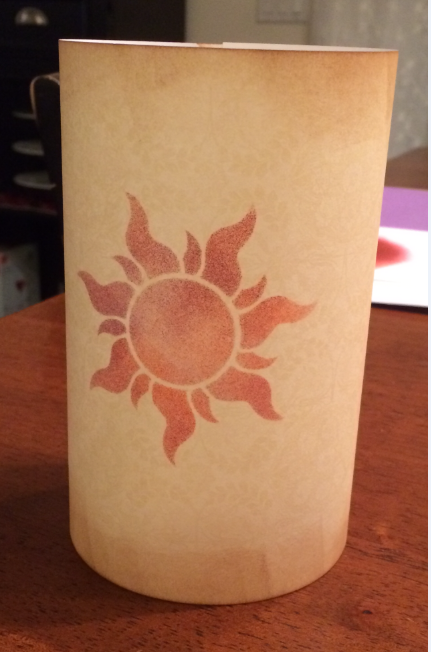 I then used brown Distress Ink to shade the edges and make it look aged as well as look darker on the outside and lighter in the center to give the illusion it is glowing. Then I glued the edges together to create a cylinder shape. 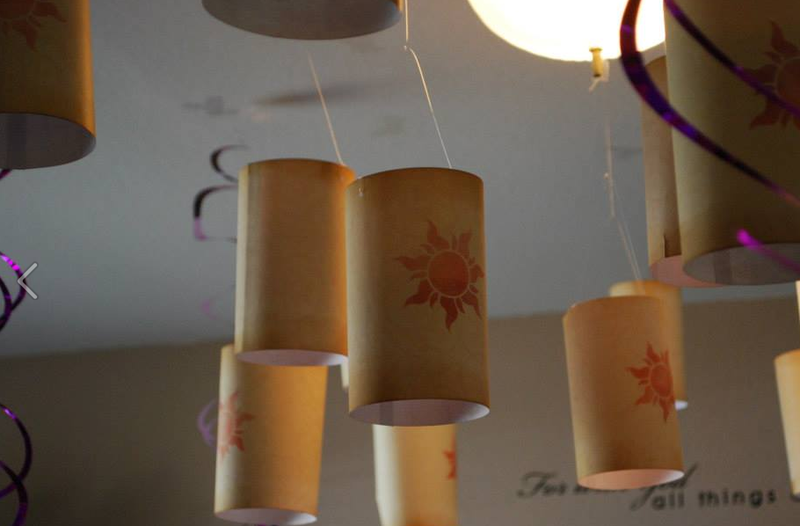 I finished it off by punching small holes in the sides and stringing fishing line to hang them from the ceiling and make it look like they are floating. 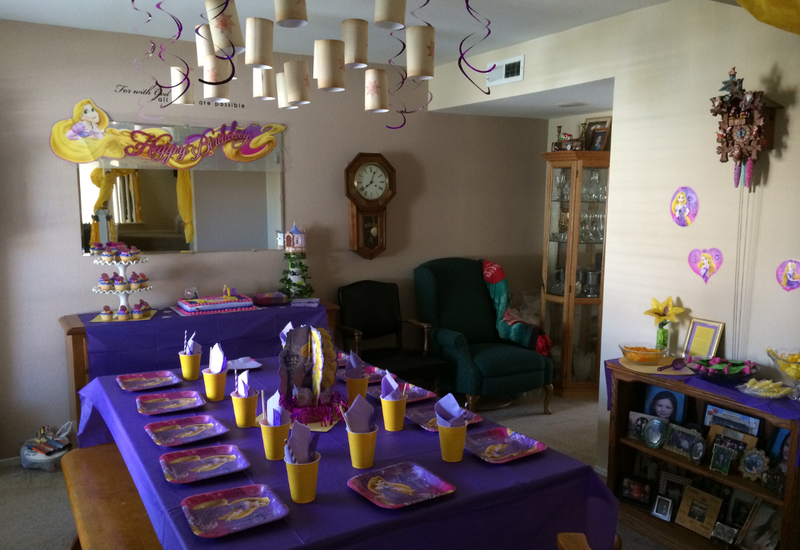 I hanged the lanterns from the ceiling above the dining table along with a few of the purple swirls to make a festive setting for the kids. To the right you can see my little treat table. I had so much fun with this! 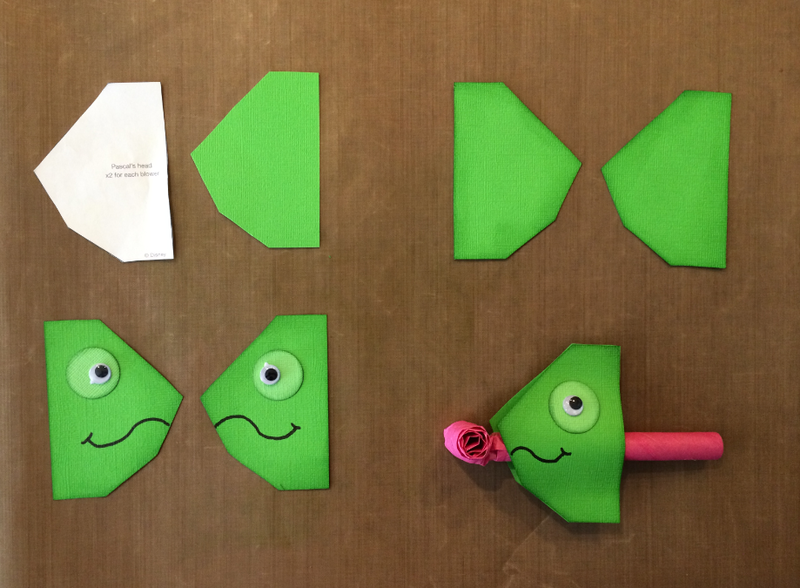 I made chameleon party blowouts. So cute and so easy. Of course there had to be some candy on the table. I wanted to represent the magic flower and the drops of sun so jelly beans did the trick! My mom found a yellow flower that resembled the one from the movie so I took that and brushed the purple paint in the center. I brushed it with gold glitter and added gold wires in the center. 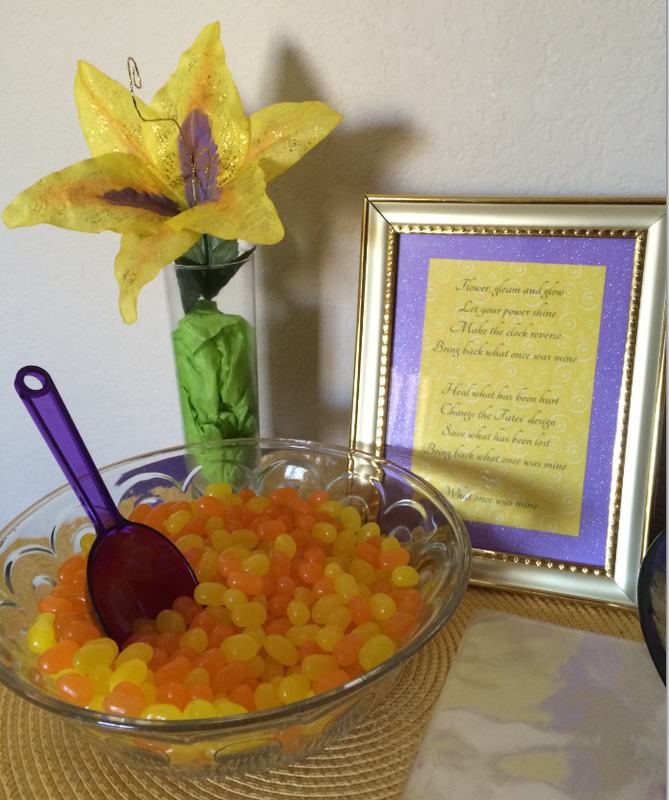 In the frame I printed the flower song song and placed it next to a bowl of yellow and orange jelly beans (a.k.a. drops of sun). 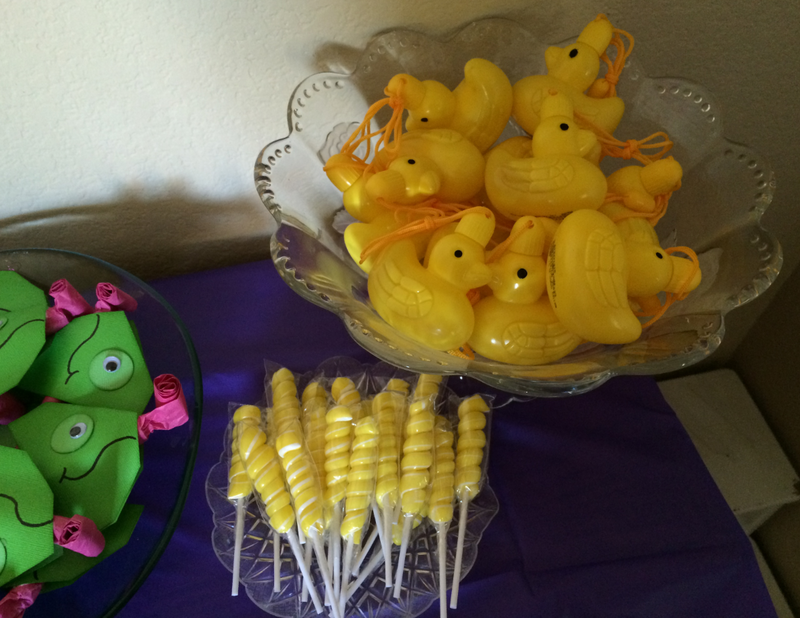 The table was finished off with yellow swirl lollipops and duckling bubble necklaces. 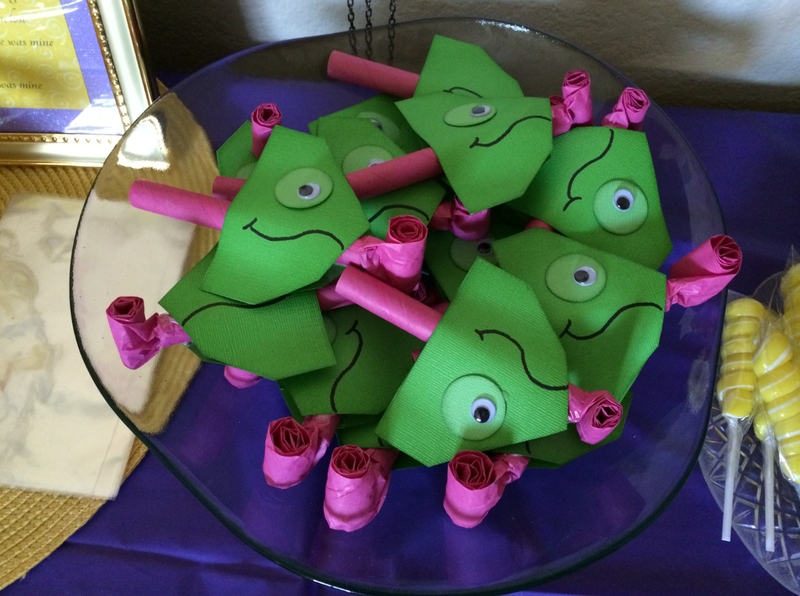 The little girls at the party did get a special treat with their party favors. 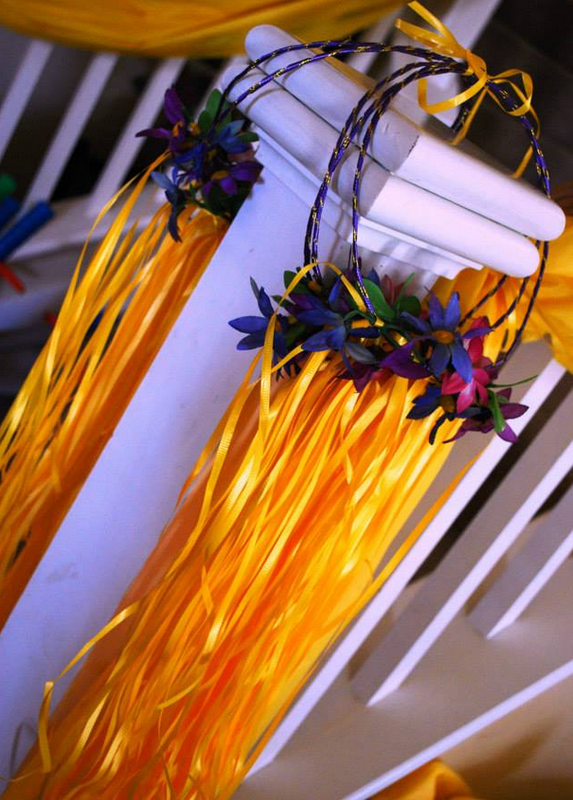 Handmade Rapunzel crowns. They were dancing around swinging their "hair" excited to be a princess for the day. I continued the hair theme through the decorations around the house. 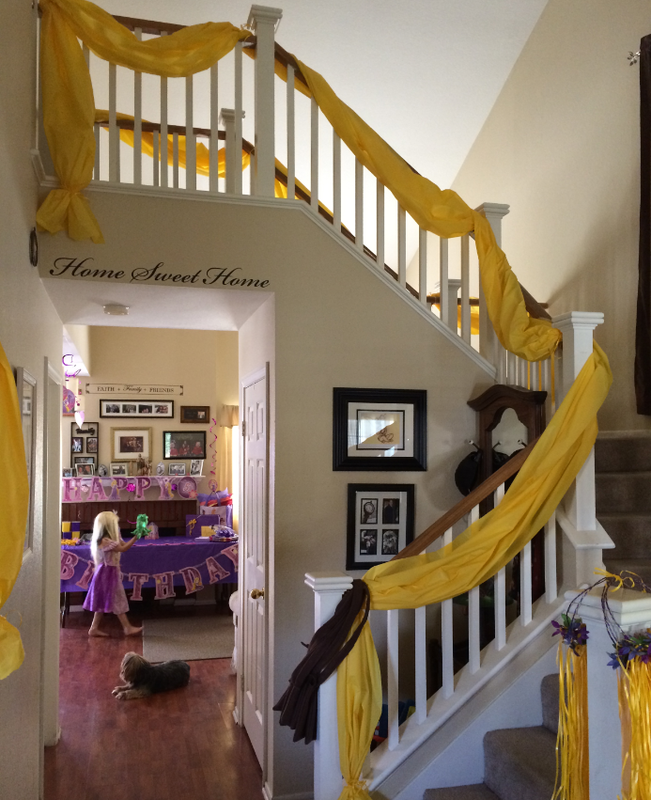 I used a 100 foot roll of yellow plastic table cover from the party store to simulate Rapunzel's hair and draped it down the staircase. Of course the little Princess in the back wore her Rapunzel dress, wig, and carried around her chameleon. There was so much more to the party. There was a photo booth and all the kids painted their own canvas to take home. It was a great 5th Birthday! Creating parties is my passion and my kiddos will grow up having the best birthdays because mommy can't stay out of her craft room. I hope you enjoyed seeing how it all came together. Please email me or comment if you have any questions about creating this party. Thank you for stopping by. Follow me and come back again soon for more inspiration!